Your whole life can change in a split second. A car accident, a collision with a semi-truck, an injury from a doctor’s negligence, or a dangerous product injury can turn your life upside down. At The McCallister Law Firm, we not only help you through the immediate medical care you’ll need, we’ll help you with the emotional and financial challenges you’ll face for years to come. Our attorneys realize the tremendous trauma and pain that you and your family have suffered because of an accident. The physical pain from an injury can be compounded by the emotional stress of dealing with lost wages and medical bills. This kind of strain can severely test even the strongest families and their resources. Our lawyers will sit down and get to know you and your family as well as the details of your case. Then we’ll counsel you about all your legal options including negotiation and litigation. Recovering physically and emotionally from a serious personal injury takes a lot of time. Our firm will get you the money you need so you can recuperate without the financial stress. And recovery goes much, much better when you know you have someone who is 100% on your side. Your case may be settled before trial or it may require litigation. You need to know that your attorney can represent you during pretrial negotiations and personal injury litigation. 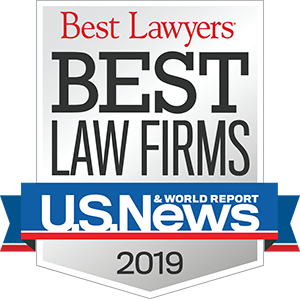 Our team of attorneys has the experience and professional connections to hire the experts and develop effective trial strategies for your case. To discuss your serious personal injury case, contact a lawyer of The McCallister Law Firm by completing the contact form or call us at 816.931.2229.